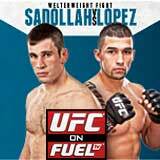 Review: 2012-05-15, the fight between Amir Sadollah and Jorge Lopez has not been particularly exciting: two stars. Amir Sadollah entered the fight with a record of 5-3-0 while Jorge Lopez had a record of 11-2-0. 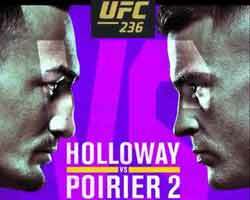 Sadollah vs Lopez is on the undercard of Chan Sung Jung vs Dustin Poirier (UFC on Fuel TV 3). Rate the video!